Iran's president-elect expresses progressive views about civil liberties, freedom of expression and the internet. Two weeks after his victory in Iran’s presidential elections, the Islamic Republic’s new “moderate” president Hassan Rowhani has expressed relatively progressive views about civil liberties, freedom of expression and the internet. Rowhani gave an interview to the popular Iranian youth magazine Chelcheragh, excerpts of which were presented by the British Guardian on Tuesday. Rowhani told the magazine that he is opposed to segregation of sexes in society, would work to minimize censorship and believes internet filtering is futile. "In the age of digital revolution, one cannot live or govern in a quarantine," he was quoted as having said, as he made clear he is opposed to the authorities' harsh crackdown on Iranians owning satellite dishes, which millions have installed on rooftops for access to foreign-based TV channels that are illegal in the country. 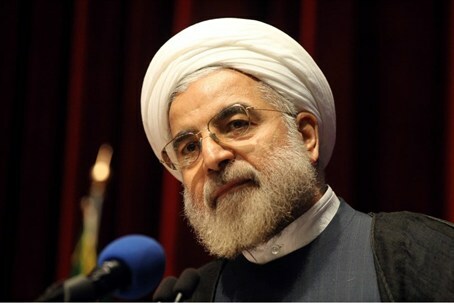 Rowhani warned that citizens' rights had been neglected. He said he stood in the June presidential election as a candidate critical of the current situation and also because he felt the country was at peril. "Today the republican [nature] of our country is overshadowed by a specific interpretation of its Islamic [character]," he said, according to the Guardian. "Some of the principles of our constitution have been emphasized while others were neglected and this is why we are facing an imbalance as a result," he said. "The freedom and rights of people have been ignored but those of the rulers have been emphasized … Restricting [people's right] to criticize will only stifle and lead to inefficiency," added the president-elect. Referring to internet filtering, Rowhani said some of the measures taken by the authorities to restrict users' access online was not done in good faith and was instead politically motivated. "There are political reasons. They have fears of the freedom people have in online atmosphere, this is why they seek to restrict information. But filtering is incapable of producing any [useful] results," he said, according to the Guardian. He added, "Filtering has not even stopped people from accessing unethical [a reference to pornographic] websites. Widespread online filtering will only increase distrust between people and the state." "I remember that [former president] Ayatollah Hashemi Rafsanjani once called social networking websites such as Facebook a welcome phenomenon. Indeed they are," said Rowhani. He also pledged to minimize censorship of artistic and cultural works and said the state – instead of interfering in the affairs of artists and cultural figures – should provide them with security. On the question of women wearing the hijab, a contentious issue in a country with millions unhappy about the mandatory religious code, the president-elect said he was against the crackdown on women with loose clothing but he stopped short of saying it should be left as voluntary. Each summer, as the heat bears down and makes it difficult for women and men in Iran to stick to their forced Islamic dress code, the religious police go out on to the streets to watch out for loose hijabs, inappropriate dress or hairstyles, noted the Guardian. "I'm certainly against these actions," Rowhani told the magazine, saying a woman without a hijab is not necessarily without virtue. He added that he opposed segregation of men and women, including at universities, and criticized the politicians who are against allowing women to enter stadiums to watch football matches along with men.